A bill that makes changes to the state’s liquor laws was amended to specify bottle club provisions and given second-round approval April 9. 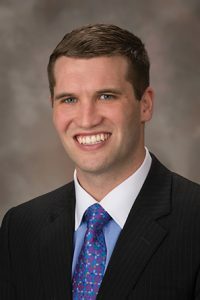 LB1120, introduced by Sen. Tyson Larson of O’Neill, makes various changes to the state’s liquor laws. It was amended on general file to license private membership establishments—commonly known as bottle clubs—where members who have purchased their own alcohol congregate to consume it. Omaha Sen. Theresa Thibodeau offered an amendment on select file to address concerns ensuring enforcement mechanisms for bottle club licensure. She said the amendment clearly defines bottle clubs and adds them to the type of business that are required to obtain a liquor license. “With the creation of a bottle club license, we wanted to make sure that all of the provisions within the Liquor Control Act and the [state Liquor Control] Commission’s rules and regulations apply,” Thibodeau said. A bottle club licensee could not hold any other license under the Nebraska Liquor Control Act and would be required to close between 5 a.m. and 6 a.m. A club’s private membership list would not be made public except as required by a court order, warrant or subpoena. The amendment was adopted on a vote of 34-0. • create the Music Licensing Agency Act. The Music Licensing Agency Act would require a music licensing agency to register with the state Department of Revenue starting Jan. 1, 2019, and file an annual electronic copy of each performing rights agreement that provides for payment of royalties made available from the music licensing agency to any Nebraska proprietor. Following adoption of the Thibodeau amendment, LB1120 was advanced to final reading by voice vote.